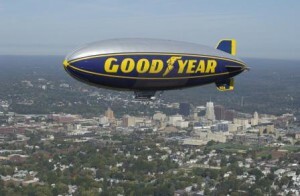 This month, the Cleveland History Center welcomes the newest addition to its Setting the World in Motion exhibit: the gondola from the “Spirit of Goodyear” blimp. 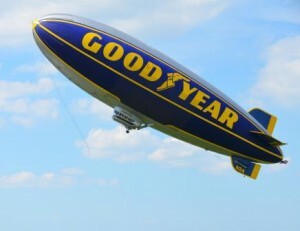 The blimp, dubbed by the Guinness Book World Records as the “Longest Continuous Use for a Blimp” in history, was in operation from 2000-2014. 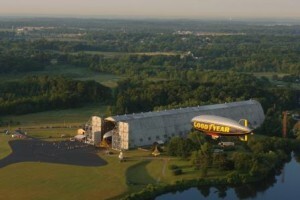 In March 2014, Spirit of Goodyear was retired and disassembled at Goodyear’s blimp base in Pompano Beach, Florida. The gondola (4118) saw service on three airships, logging more than 31 years of activity and thousands of hours in flight time. During that time, it flew over some of the world’s most-attended sporting events; The Kentucky Derby, NASCAR races, US Open Tennis matches, Major League Baseball games, NCAA basketball and football, NFL games, and more. Join WRHS and representatives from The Goodyear Tire & Rubber Company during the unveiling of gondola 4118 in Setting the World in Motion on Wednesday, February 25 at 1:00 pm.